This LiPo battery charger add-on for Teensy 3.1 has the pins at the right place for the Teensy, could be a better choice in most case. In my case I needed to put in on the side of the Teensy and wanted something as small as possible and the big hole in the Backpack was good for keeping it in place. 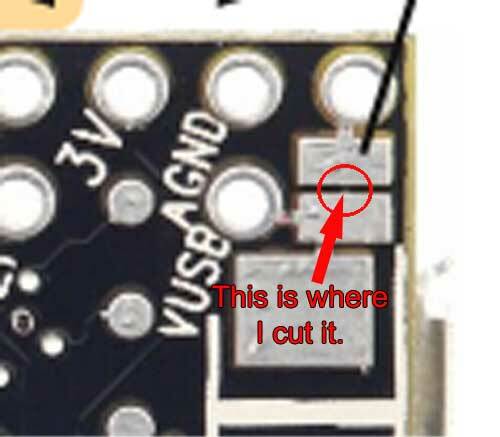 Separate VIN from VUSB on the Teensy as explained here. I personally used it with a switch to turn the project off. For that you need to separate the switch pins on the Backpack. Reefer to here for more details about adding a switch. Connect the GND pin from the Teensy and the G from the Backpack together. Plug your LiPoly/LiIon compatible battery in the Backpack Charger. For comments and questions reefer to this forum thread.